The Social Security Administration’s budget hasn’t grown for nearly a decade, but the number of Americans receiving retirement or disability benefits is at an all-time high and continues to rise. According to a recent article in The Washington Post, “The simplest explanation is that there isn’t enough money.” The administration’s stagnant budget has forced staff cuts and increased the Social Security Disability (SSD) backlog, in which more than 1 million applicants wait for a relative handful of judges to decide their cases. Tragically, many applicants have died awaiting those decisions. In 2017, according to The Washington Post report, the average applicant has waited nearly 600 days to receive an initial decision—which more than 50 percent of the time is a denial notice. This year alone, more than 10,000 applicants have died awaiting a decision on benefits. Only about 36 percent of initial SSD applications are approved, and the wait time for an appeal hearing is often more than a year-and-a-half. The Social Security Act was signed by President Franklin Roosevelt in 1935, and SSD benefits were added in 1956. The programs were intended to provide support for those too old to work in their previous capacity, and to protect those unable to work due to disability. In 2017, the average SSD recipient received $1,171 per month or about $14,000 a year. For sick or injured individuals who are unable to work while trying to cope with medical costs and general living expenses, this money doesn’t go very far. There are approximately 1,600 Social Security administrative law judges overseeing a backlog of about 1.1 million disability claims, The Washington Post article states. According to a report by the Social Security Administration Office of the Inspector General, each judge rules on an average of fewer than 10 cases per week. During the initial application phase, only about 36 percent of disability claims are approved. The approval rate and wait time varies depending on the state, county, or judge. In Tennessee, for example, the average wait for an SSD hearing is 17 months. In Kentucky, the average wait is 20 months. For most applicants, appealing a denied claim is the only way to secure financial benefits. Unfortunately, appealing a rejected application prolongs the process and can create additional stress for applicants. 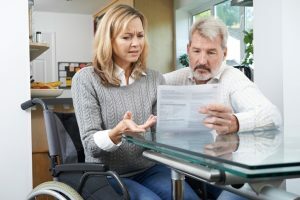 A disability lawyer can’t speed up the SSD benefits process, but working with an attorney can increase your chances for approval upon application or appeal. 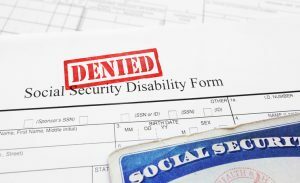 Working with a lawyer who is experienced in Social Security Disability claims won’t speed up the process, but it can increase the chances for approval upon initial application or appeal. Recently updated medical evidence requirements have increased the complexities of applying for SSD benefits, and many applicants may be unable to accurately prepare these documents alone. Incomplete applications and improperly filled out applications are among the most common reasons for rejection. Attorney Michael Hartup understands the challenges faced by disabled workers, and he is dedicated to recovering the benefits they need without unnecessary delays. For more than 10 years, The Law Offices of Michael Hartup has helped disabled individuals from Tennessee and Kentucky successfully file new applications for benefits and appeal denied claims. If you live in the greater Jackson, Tennessee, area and have questions about applying for SSD benefits or appealing a rejected application, please contact us online or call us at 731-513-5284. What if My SSD Claim was Denied? What’s the Difference Between SSD and SSI?